Throwing events in a professional manner takes a lot of work. Managing everything related to your upcoming events is one part of the story. You are also going to have to take time to promote your event properly (online and offline). If you are in the business of organizing multiple events a month, you are going to have set up a portal to cover all your events. Evento is just the theme for that. 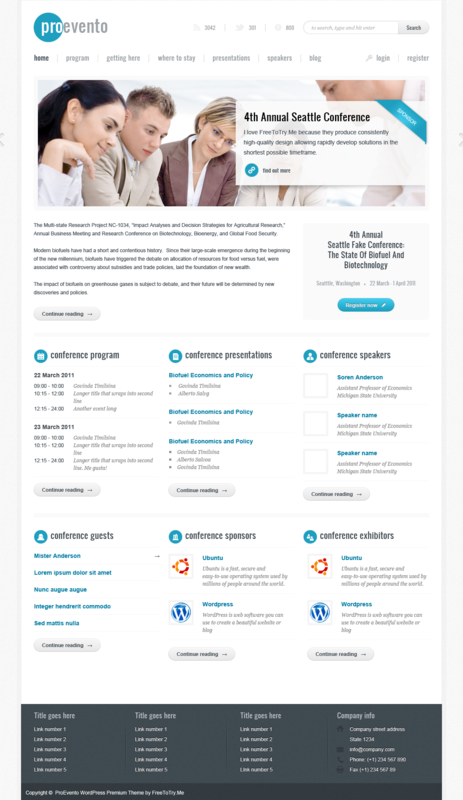 Evento theme comes handy for conferences, events, exhibitions, and similar types of events. 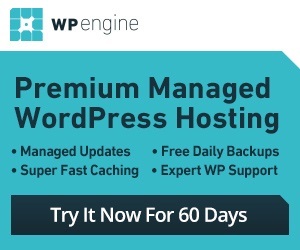 For starters, it looks professionals and works fine for serious businesses. It is highly customizable and can handle all your events. Adding your speakers and events information to your website is easy too. Evento is social media friendly, making it easier for your visitors to share your events with the world. Users can attach presentation documents from their events to this theme which is pretty nice. Evento gives you access to over 100 shortcodes to make changing things easier. If you are in the business of throwing or organizing multiple events per month, Evento can bring your event portal online quickly.